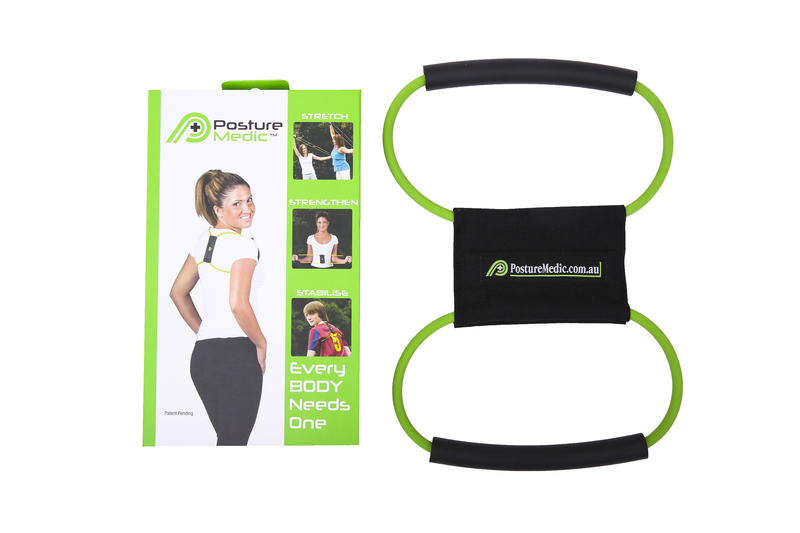 The Posture Medic Plus Strength is designed for users who are more athletically active. The Plus Strength utilizes a proportionally heavier resistance band compared to the Original. This provides highly athletic and stronger individuals with a proper stretch and enough resistance to effectively stabilise their posture. The Plus Strength offers greater resistance when completing our exercise program so that they can also strengthen their back and neck muscles. All other product features are the same for both strengths. Most users will find that the Original Strength provides an excellent workout and stretch for their posture. If you are not sure about which strength is right for you, try on the Posture Medic in both strengths to see which is more comfortable. Be sure to also try some of the basic stretches to make sure you find your right fit.